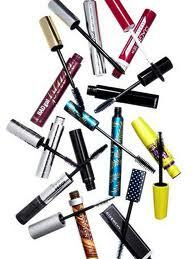 Scientists say that we should be purchasing new mascara every 3 months. Their reasoning is because of the bacteria that cultivates inside the tube’s ideal environment; I like the idea, because with so many advancements happening in the lash-enhancing industry, it is a great excuse to try another brand. Thick wands add bulk as well as length, but should be avoided by those with short lashes, since it makes it difficult to reach the root without smudging the eye area. I wish I had a dollar for every woman who has given up on wearing mascara simply because she was using the wrong kind of product for her needs! If you curl your lashes (recommended especially for Romantics and Ingénues) do this on fresh, clean lashes before applying mascara. Always apply mascara from root to tip, do not worry about touching the eye area with the first application. Apply first coat of mascara after foundation and allow to dry before using a damp cotton swab to erase any product left on skin. After blush, eye shadow and loose powder foundation, apply a second coat of mascara (this time being careful not to touch the wand to the skin) right over any dust left on the lashes – this will add to their volume. Do not touch lashes until completely dry. If lashes need separating, use a brow brush to comb them apart.